Datsun India has officially launched the face-lifted 2018 GO hatchback and GO+ MPV today and have priced them at INR 3.29 Lakh and INR 3.83 lakh (ex-showroom Delhi) respectively. In addition to the cosmetic changes, the cars are equipped with hosts of safety features and other updates to the interior and exterior which being done after the essential 4 years are quite compelling. 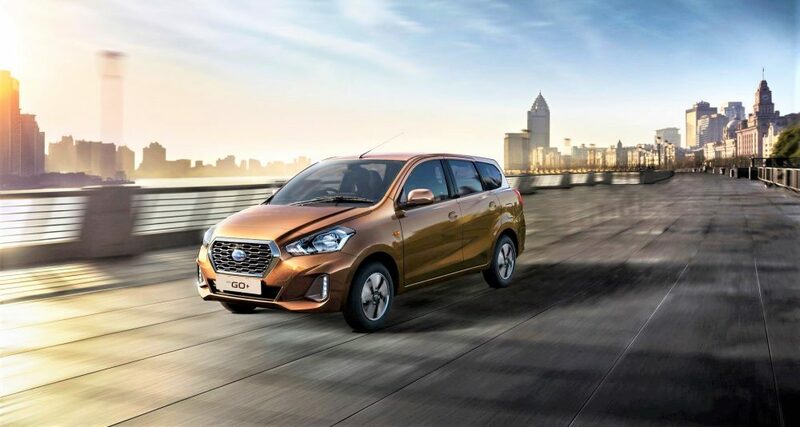 The Datsun GO and GO+ MPV both have been launched in two new stunning color shades: “Amber Orange” and “Sunstone brown” and the cosmetic updates have given them an impressive stance. Coming to the changes, the bumper design has been refurbished with new LED DRLs and have been integrated with turn signal lights. The hexagonal black grille with chrome surrounds compliments its style. The facelift also includes 14-inch alloy wheels, rear parking sensor and rear washer/wiper for the higher specs model. The new models also gets revamped outside mirrors with turn indicators. Coming to the cabin updates, the Datsun GO and GO+ gets a new 7-inch touchscreen infotainment system with Android Auto and Apple CarPlay, the new instrument console features an analog tachometer. The conjoined seats as seen in the previous models have seen a miss and have been replaced with comfortable individual seats with sporty bolster cushioning. Adding to the package are rear power windows and electric mirror adjusts. The top specs trim offers additional security package while front airbags and ABS are standard for all the models. 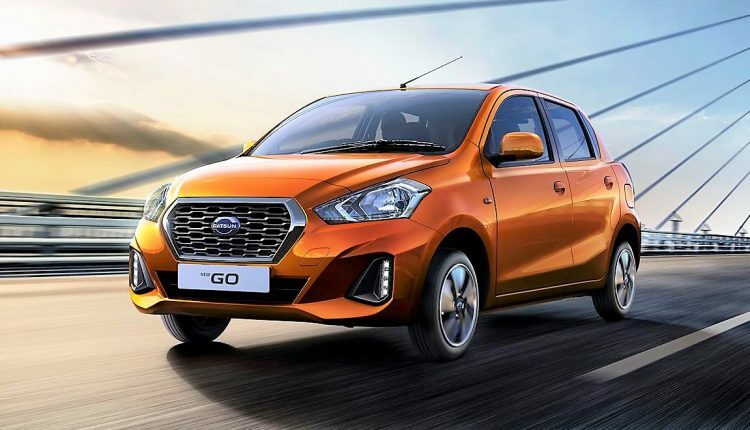 Powering the Datsun GO and GO+ is the same 1.2-litre three-cylinder petrol engine capable of churning a maximum power of 68 bhp and a torque of 104 Nm. The engine is mated to a 5-speed gearbox. 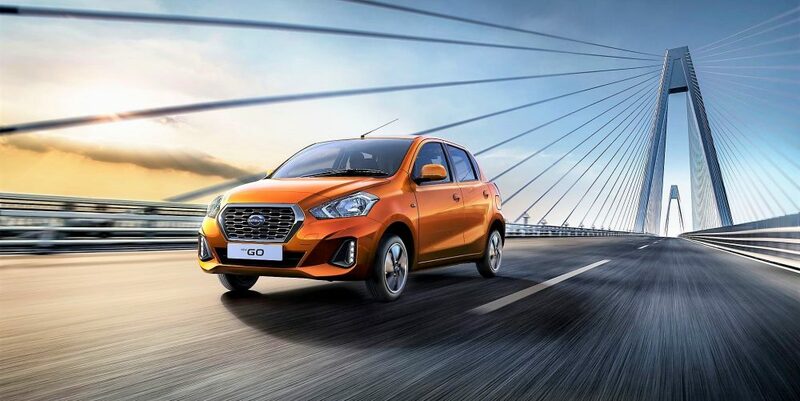 The Datsun GO facelift will compete in the market with the likes of Tata Tiago, Maruti Suzuki Celerio and the new Hyundai Santro while the GO+ MPV will rival the upcoming 2018 Maruti Suzuki Ertiga. You May Like: Official Brochure of 2017 Suzuki Swift Leaked! *Above mentioned prices are ex-showroom.